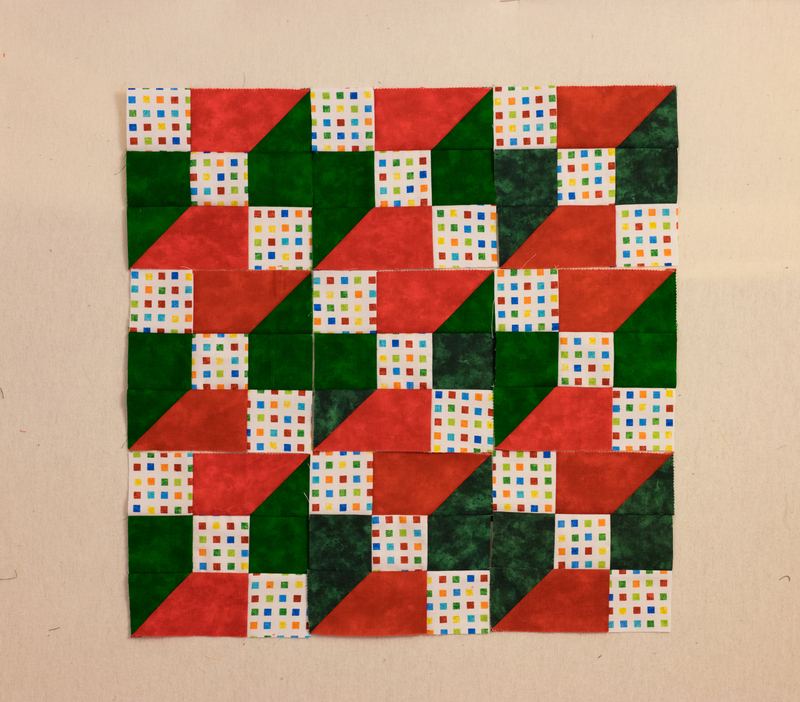 I have received some requests to write out a step-by-step tutorial for the variation of the block I made in my posting titled Re-thinking My Accidental Quilt Block from January 19, 2014. Because I just showed various pictures, folks trying to make the block became confused. Then I discovered there was an unintended quirk in the way the quilt was turning out based on some cutting instructions! So I deleted that post and wrote this new variation that works out the way I originally intended! So if you read the original post and wondered why you couldn’t find it – it’s gone! I feel this new variation is way easier to make, so I’m posting a tutorial on how to make that one instead. I think everyone will be happy that I did, LOL. Pictured below is a new sample block and two potential layouts that could be used for a quilt. You may notice the colors changed in the quilt layout samples because I didn’t realize I was low on the fabric I used for the block sample. 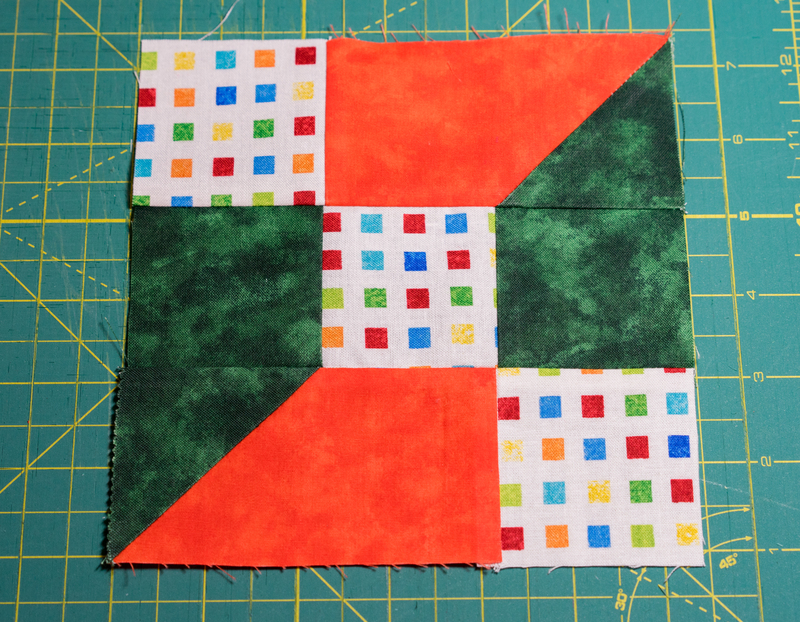 🙂 To cut my pieces I used 2 ½” wide strips from a Jelly Roll which resulted in a block that equaled 6 ½” square. Click on this link to get to the tutorial, or just click on my Tutorials link at the top of the page. 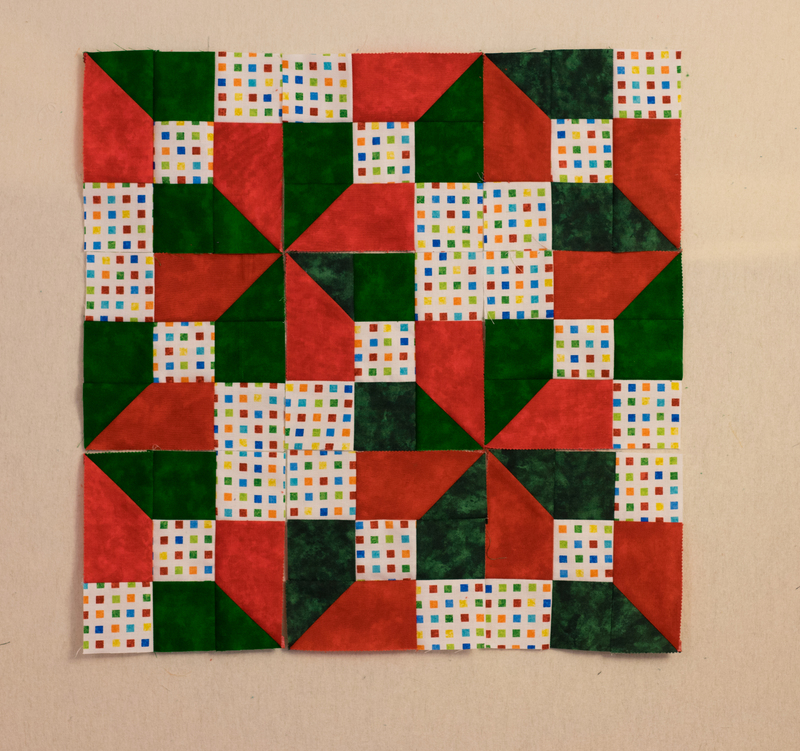 Look for the Accidental Quilt Block Variation – 2015. This entry was posted in Projects and tagged easy quilt, fun quilt, modern quilt, quilt, quilt block on September 7, 2015 by denmck.